Figure 8.3. Chemical, fission, and fusion energy release and their mass conversion fractions (adapted from [Kammash, 1995]). in this estimate, e.g., of order 0.04 atoms/cm3 [Cassenti and Coreano, 2004]. Besides, scoop drag may easily be larger than thrust. If relativity holds, such propulsion systems are unfeasible for the foreseeable future. 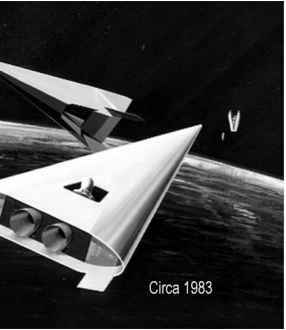 In any event, the interstellar ramjet still depends on a "booster" capable of accelerating the ramjet to that ''sufficient speed'' V, and thus requires on-board propellant.